Need a way to carry your stuff? These bags are the answer....with style! 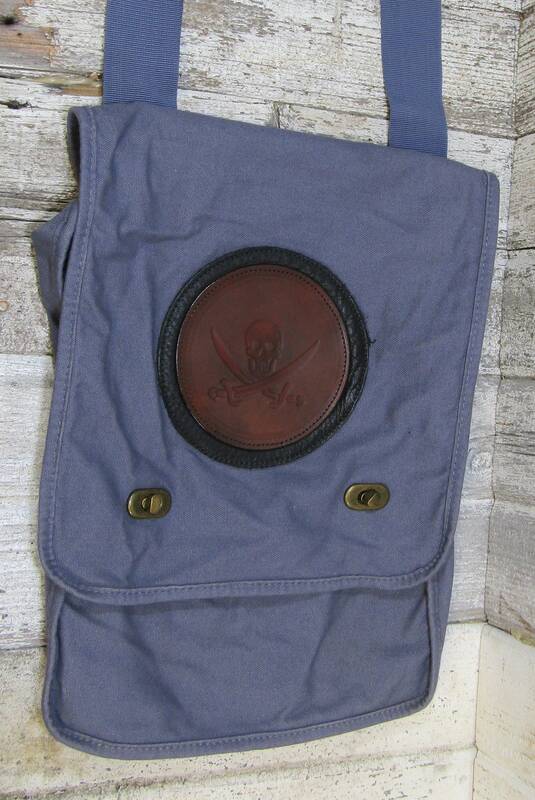 This bag is a faded blue color with a leather medallion with a pirate skull and scrossed swords design stitched onto a black bullhide disc.